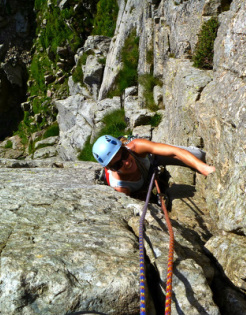 This action packed Rock Climbing activity can be based in the Lake District, Snowdonia, or The Peak District National Parks. There are a wealth of places to choose from and our specialist, in-depth knowledge will help ensure we find the best venues, always with amazing rock and views to match. 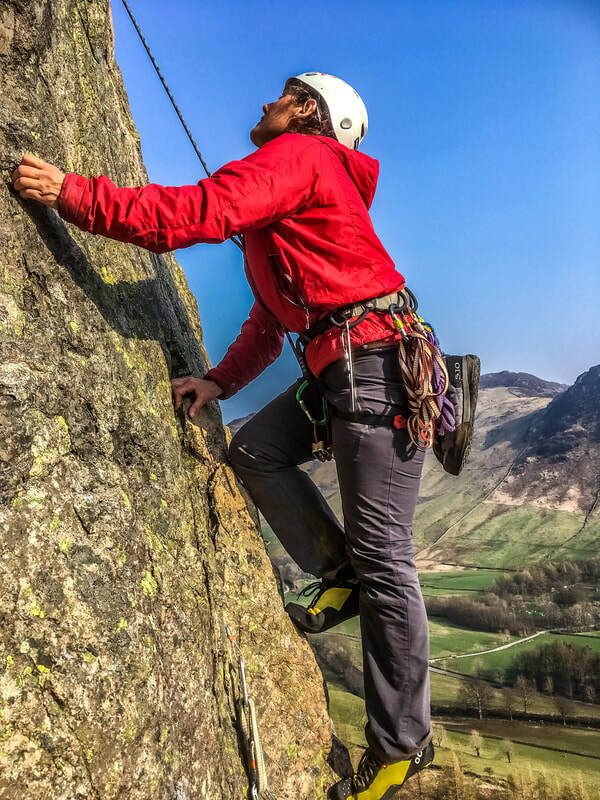 The days are tailored to your requirements, so whether you’ve never done it before and want a taste of what Rock Climbing is about, or want to learn how to place ‘trad’ protection, or improve your movement skills, we can make it happen. 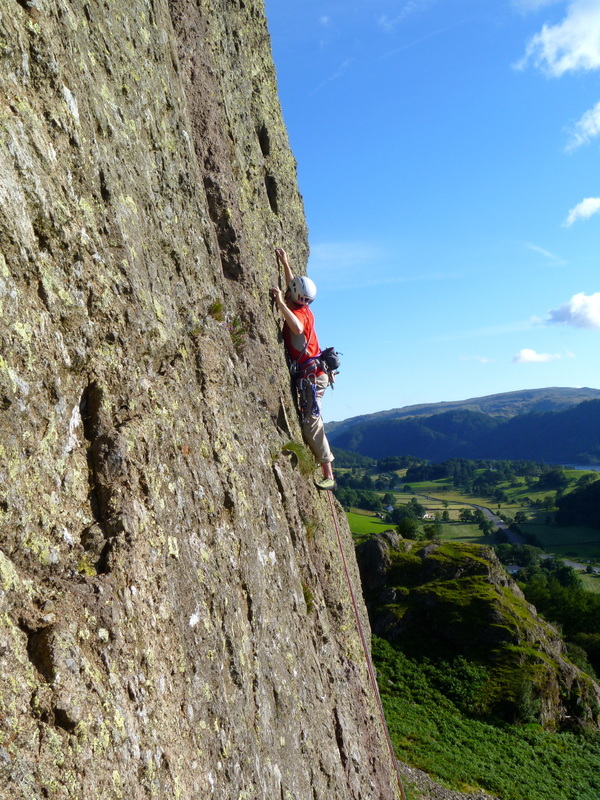 Black crag - Borrowdale: In the secluded valley of Troutdale lies this fine crag with a number of 'stand out' routes. 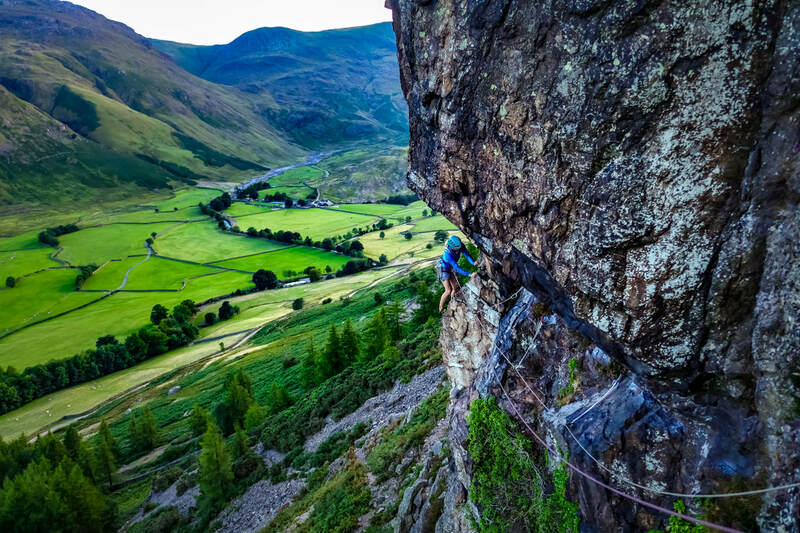 For a first visit though it has to be 'Troutdale Pinnacle' - 100m of brilliant climbing and a seat on the pinnacle for that 'space below your feet' feeling! Wallow barrow crag - Dunnerdale: Often referred to as a good place to go if the weather is unsettled in the central Lakes. Wallow barrow is much more than that, the climbing is excellent, and the outlook over Dunnerdale ranks amongst the best in the Lakes. 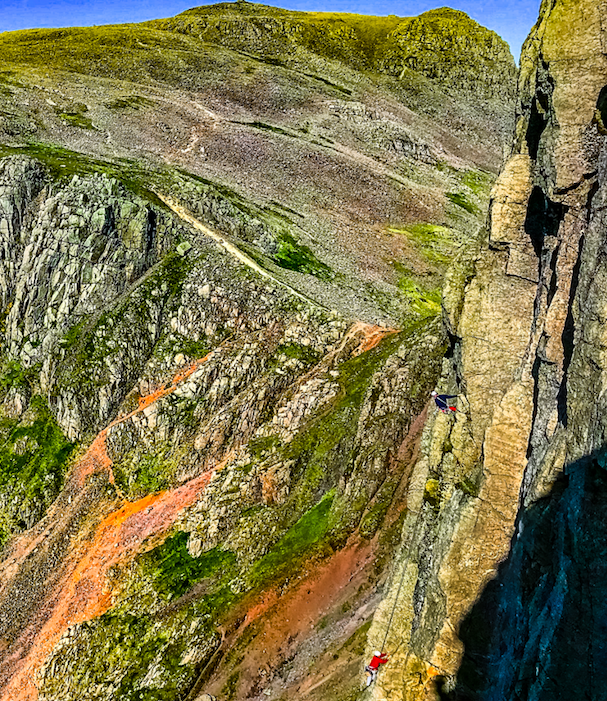 Whilst there is single pitch climbing here, it's the multi-pitch routes that stand out. Brantrake crag - Eskdale: For those choosing to stay in the Western Lakes, Eskdale & Wasdale areas, Brantrake crag is where we'll likely be going. It's rough and solid granite, with a wide range of routes from easy to extremely difficult. Castle Rock - St. John's in the Vale: The south crag offers great rock in a very sunny setting. Predominantly single pitch and a good place if you're seconding 'trad' routes. All safety equipment is provided, so you can concentrate on having loads of fun, experiencing the thrill of ‘space below your feet’ and get to grips with rock climbing.